I have always mostly been a compact powder foundation kind of girl but I have used liquid foundations in the past and did at the time use a sponge to apply them. 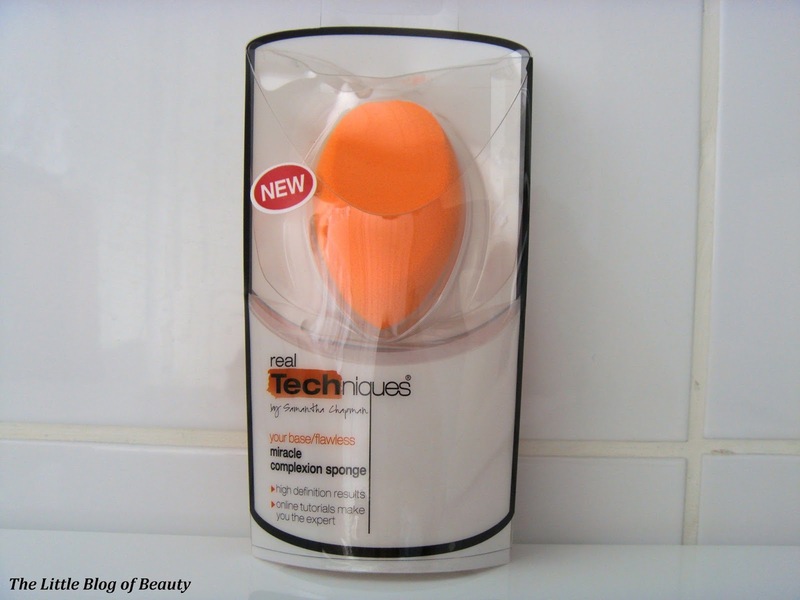 Since taking up blogging I have started to use liquid foundations again but when I tried to use a sponge (just a cheap standard wedge type one) I found it just appeared to absorb the foundation so I have moved onto using my Real Techniques Buffing Brush for applying foundation. 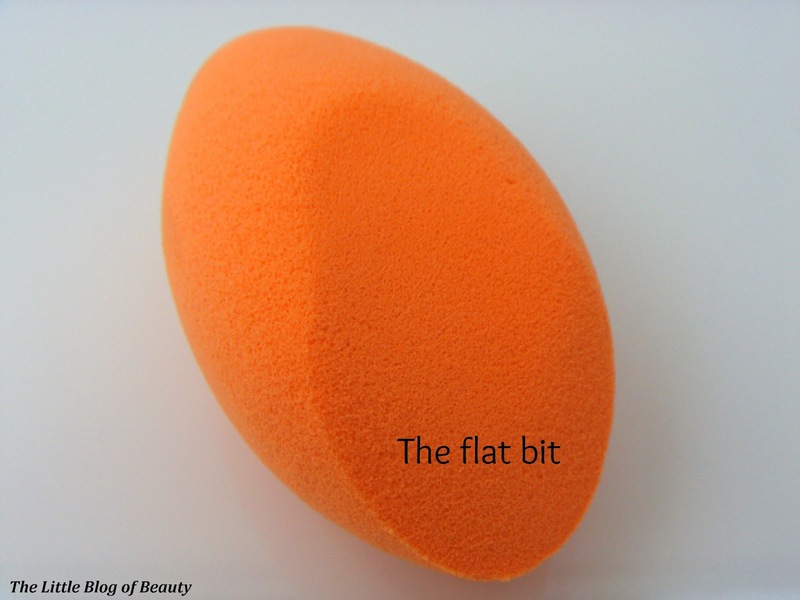 I have been curious about the Beauty Blender, but at £16 or whatever ridiculous price it costs, I've refused to try it out. 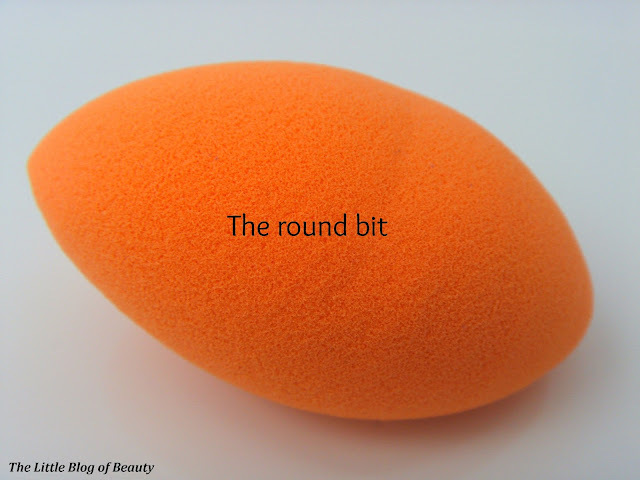 When I saw that Real Techniques were releasing their own version of the Beauty Blender and that it would only cost around £5 I knew I'd like to give it a try. 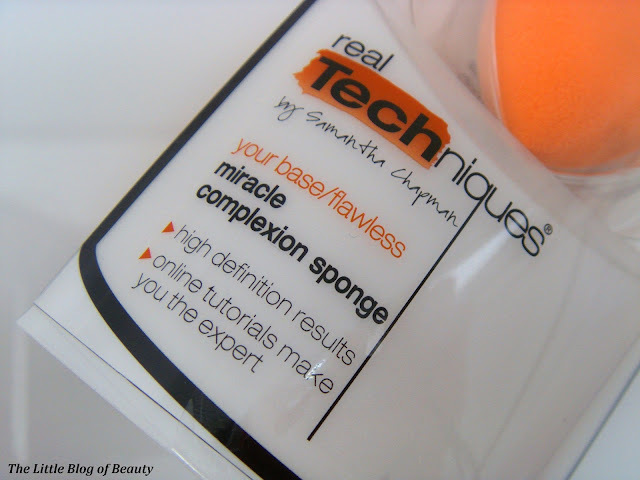 Over the weekend I received a parcel from pomltd.com with a couple of products for me to try and I was really pleased to see that one of them was the Real Techniques Miracle Complexion sponge*. The RT sponge has three different surfaces which I have cleverly named the pointy bit, the flat bit and the round bit (9 years at university hasn't gone to waste!). There are no instructions in the packaging (I believe you're supposed to go online for tutorials) so I'm not quite sure of the specific roles of the round and flat bits but the pointy bit is obviously for those hard to reach areas like round the nose and eyes. I have tried using this wet and dry and although I think I prefer the finish slightly more when it's wet I think I would probably usually use this dry as I find wetting it and then having a damp sponge a bit of a faff! Whichever way you use it though this does provide a flawless, airbrushed looking finish. I tend to use the flat surface for covering large areas and have been using the 'bouncing' technique, basically 'dabbing' on my foundation. 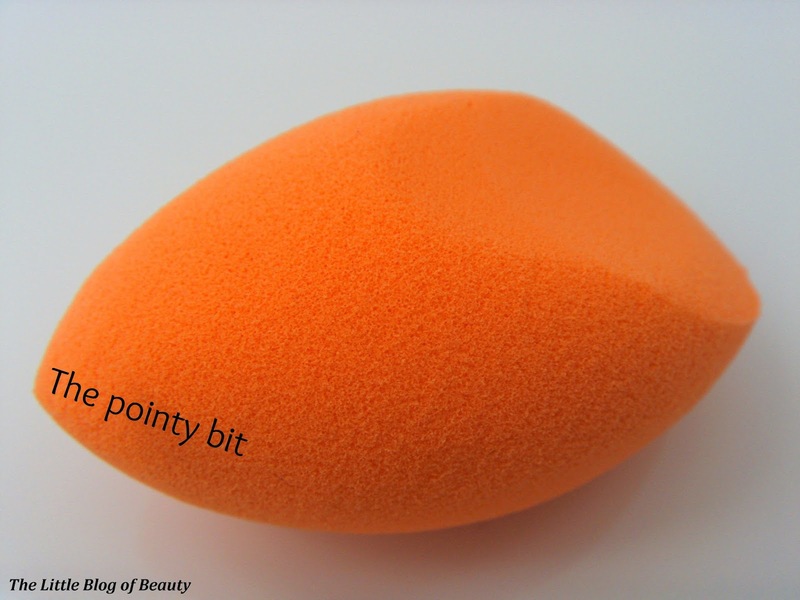 Obviously I haven't tried the Beauty Blender so I'm unable to compare this directly but I would say when this is a third of the price and does an amazing job I would definitely go for this one. If you'd like to try the RT sponge you can get this for just £4.49 from pomltd.com. 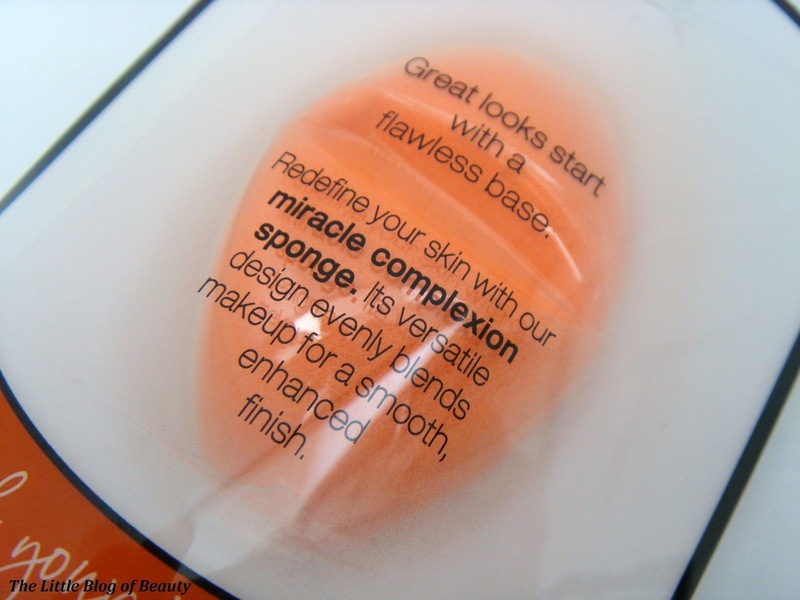 Have you tried the Miracle Complexion sponge? Haven't tried it but sounds lovely!